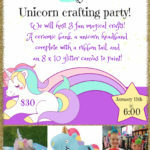 May register in store or on line by January 7th! Starting to go stir crazy? Are the kids bouncing off the walls? 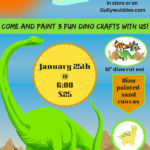 Bring the family to Gullywubbles THIS FRIDAY for painting and socializing! We will be painting a ceramic, bank, planter or trinket box of your choosing! A canvas add on is available for only $3! 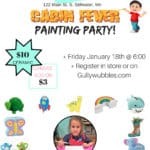 Make sure to register as soon as possible for this awesome deal and night of fun! Limited seating is available! Register in store or online through this link! Don’t forget to add the ceramic party to your cart, and use the drop down box for the canvas add on!